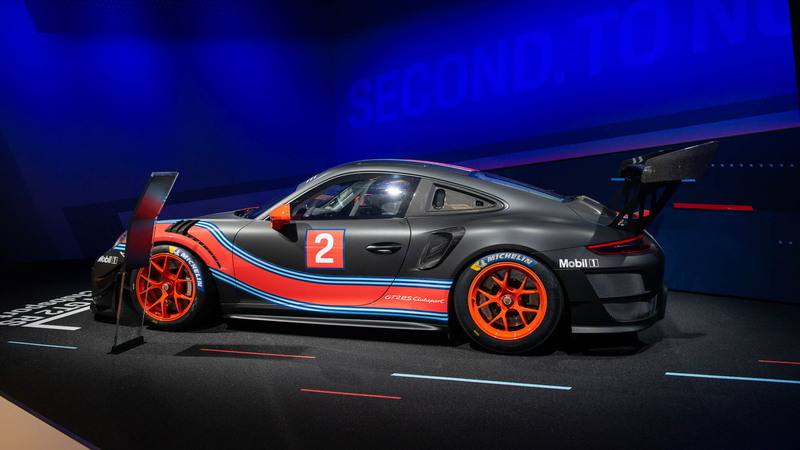 Porsche has come out with a new car to tempt racing enthusiasts. 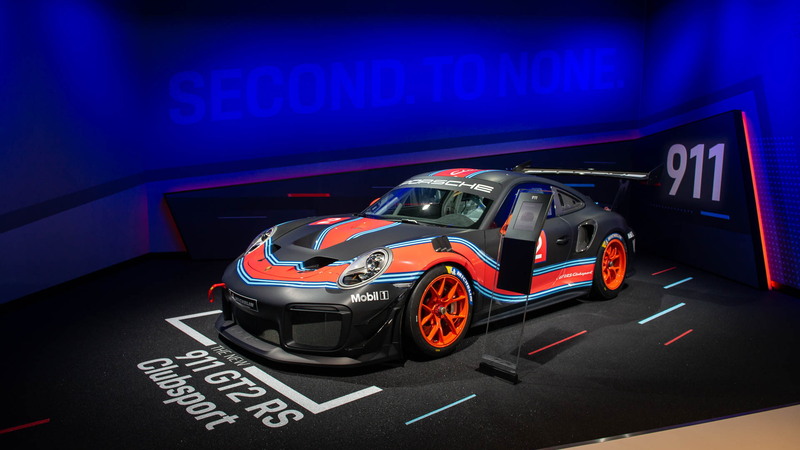 The German automaker surprised visitors to the 2018 Los Angeles auto show on Wednesday with the reveal of the 911 GT2 RS Clubsport, a new racing variant of the outgoing 991-generation 911 GT2 RS designed for clubsport-style events, such as those organized by Porsche Club of America, as well as a potential future SRO-organized series. “We are currently holding very productive talks with the race organizer SRO,” Porsche’s head of GT motorsport and GT road cars, Frank-Steffen Walliser, said in a statement. 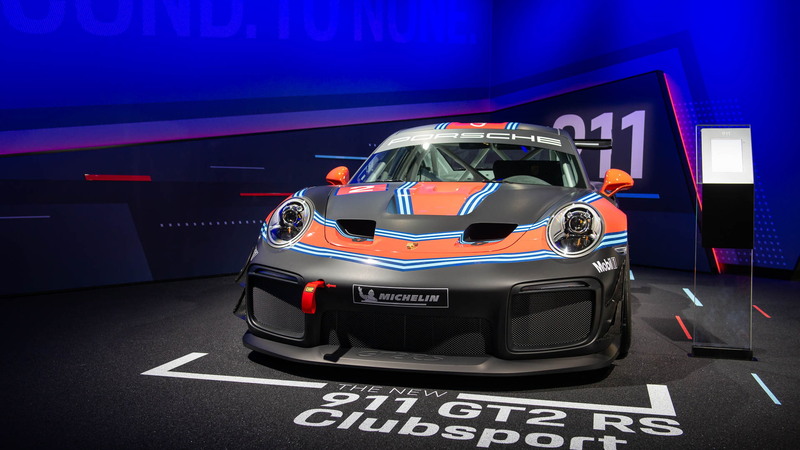 Not to be mistaken with the Club Sport package offered on the 911 GT2 RS overseas, the new 911 GT2 RS Clubsport is designed strictly for track use and will be limited to 200 units worldwide. 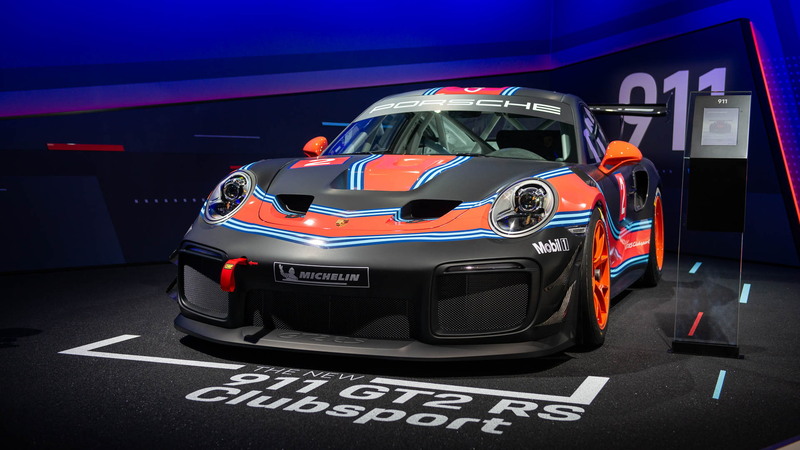 The 911 GT2 RS Clubsport keeps its road car counterpart's 700-horsepower 3.8-liter twin-turbocharged flat-6 and 7-speed dual-clutch transmission, but almost everything else has either been stripped away or enhanced. The car now weighs in at just 3,064 pounds. A roll cage has been welded in and the single carbon fiber racing seat from Recaro has been fitted with a 6-point safety harness. The standard gas tank has been swapped with a 115-liter FT3 safety fuel cell and an air jack system has also been installed. The suspension at both ends (MacPherson struts front and multi-link rear) features 3-way racing dampers, anti-roll bars, and adjustable height, camber and track. Each corner supports an 18-inch wheel with a center-lock nut and at the front are 6-piston monobloc racing calipers and 15.4-inch discs and at the rear are 4-piston calipers with 15-inch discs. Anyone interested in securing one of the cars should contact Porsche's motorsport department. The price is set at $478,000 and deliveries are due to commence in May 2019. 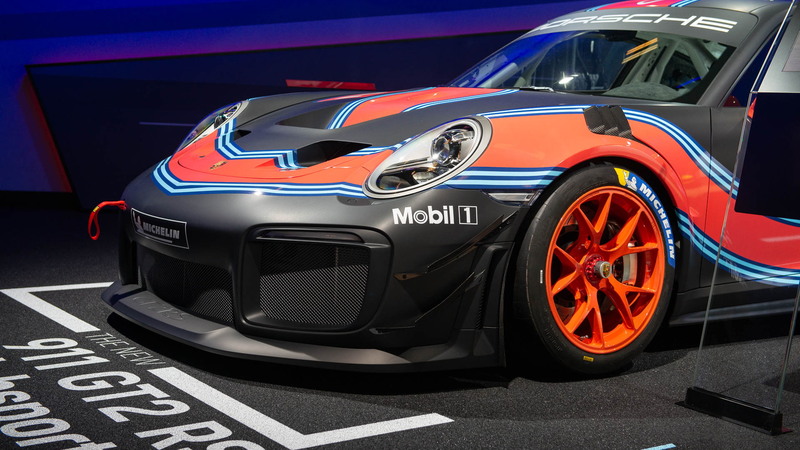 Porsche also used the L.A. auto show for the world debut of its 992-generation 911 and the local debut of its updated 2019 Macan. For our complete coverage on the show, head to our dedicated hub.